By Xah Lee. Date: 2014-02-20 . Last updated: 2017-03-23 . 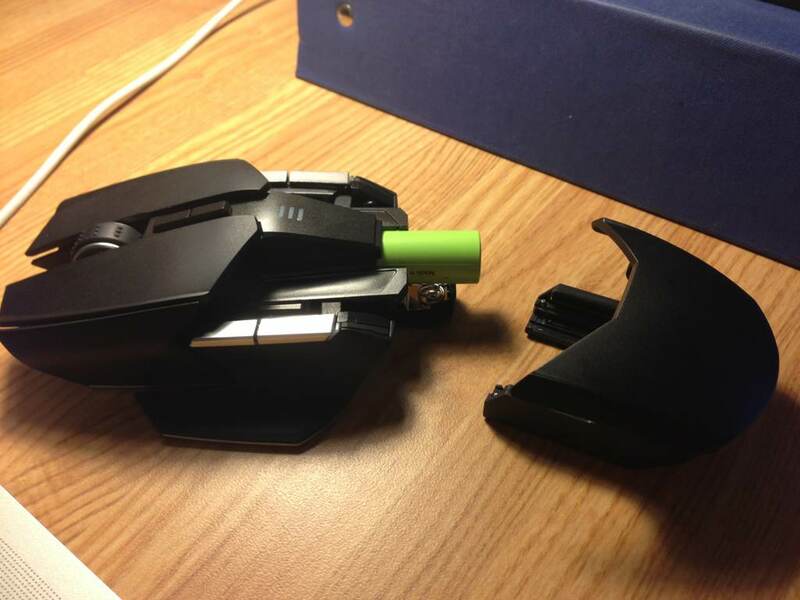 This mouse is mouse over-kill. 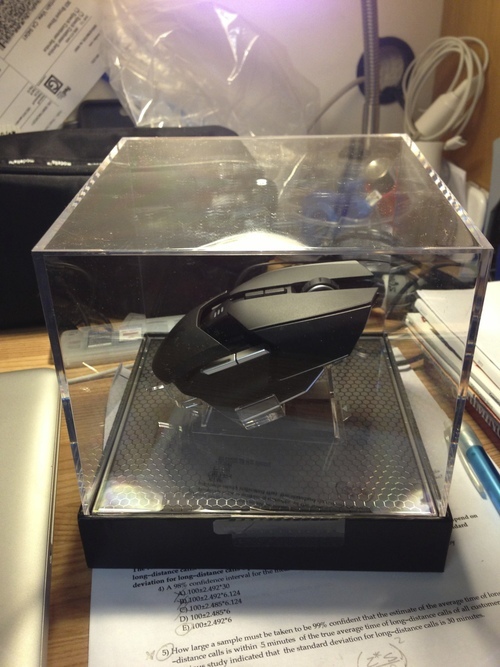 It comes in a giant “glass” box. This box wastes your money. 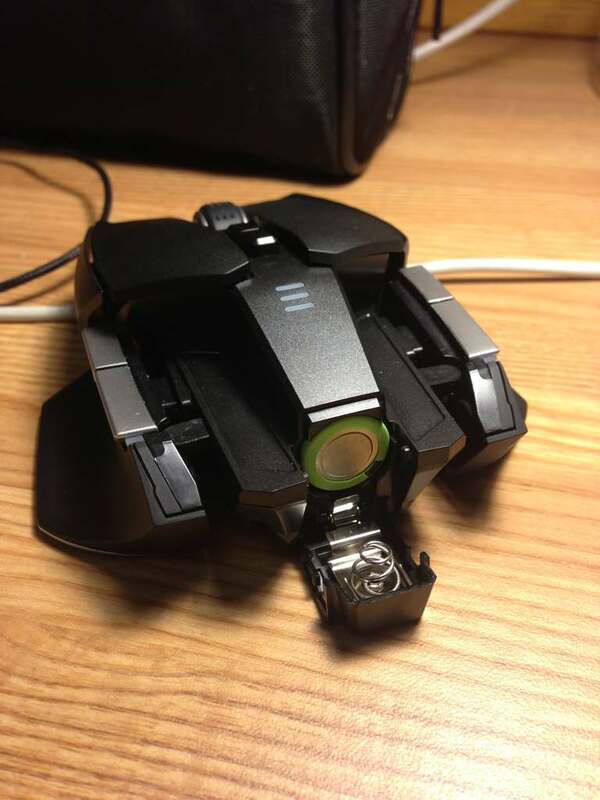 The mouse actually comes with a ARM 32-bit processor. Yeah, a CPU in the mouse. It needs to compute things. • Wireless. → Good. Also can be used as a wired mouse. Just plug the USB cable directly into the mouse. • Charging dock. → One extra thing to reduce your desk space. 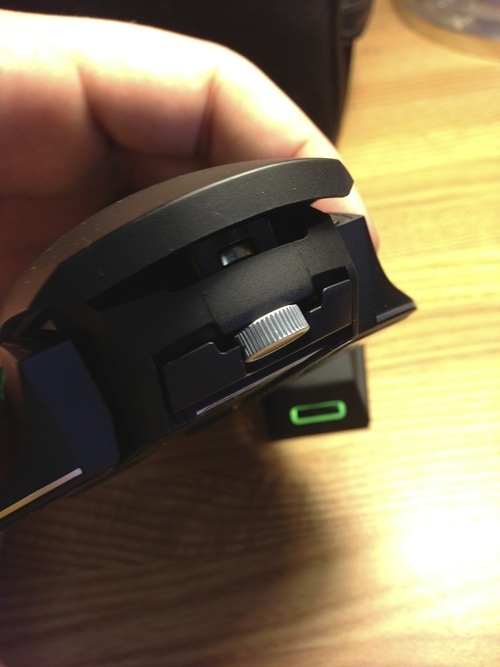 Though, the nice thing is that instead of plug/unplug the mouse every day, you just place it on the dock. Kinda saves you labor. • Runs on 1 AA battery. 12 hours of continuous use. This means, you have to have the mouse sitting on the dock every 2 days. 3 buttons on each side. 2 silver colored ones, and beneath it is the 3rd button, called “DPI clutch-trigger”. Hold it down to temporarily increase/decrease the mouse's DPI. The clutch-trigger takes some pressure to hold. Twist the disk at the back of the mouse, to raise or lower the palm rest height. Adjustable height and length. Removable side shells. Weight: 115g without battery. 135g with battery. • 8200 DPI. dual sensors. 1 laser, 1 optical. Currently a whopping ~$130 (note: prices can change dramatically because supply/demand). 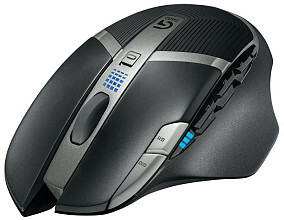 I'd consider the Logitech G700s a better mouse. Even if both have the same price tag. the symmetric design. That means, doesn't matter you are right-handed or left-handed, one side's buttons are going to become rarely used, uncomfortable to press, wasted. The adjustable size is nice. 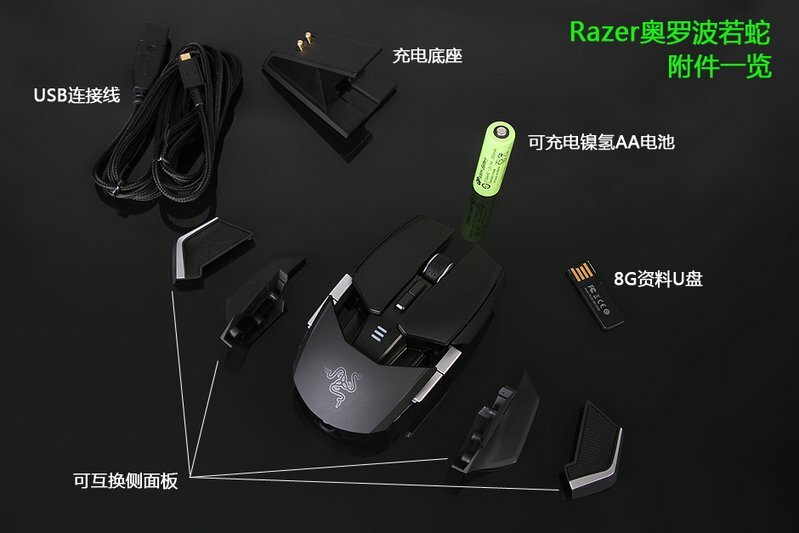 But, you can easily find the right gaming mouse for the size of your hand for half the price, without the adjustable parts and hassle. Worst of all, Lots of terrible reviews on amazon. 15% of 1 star. 10% of 2 star. 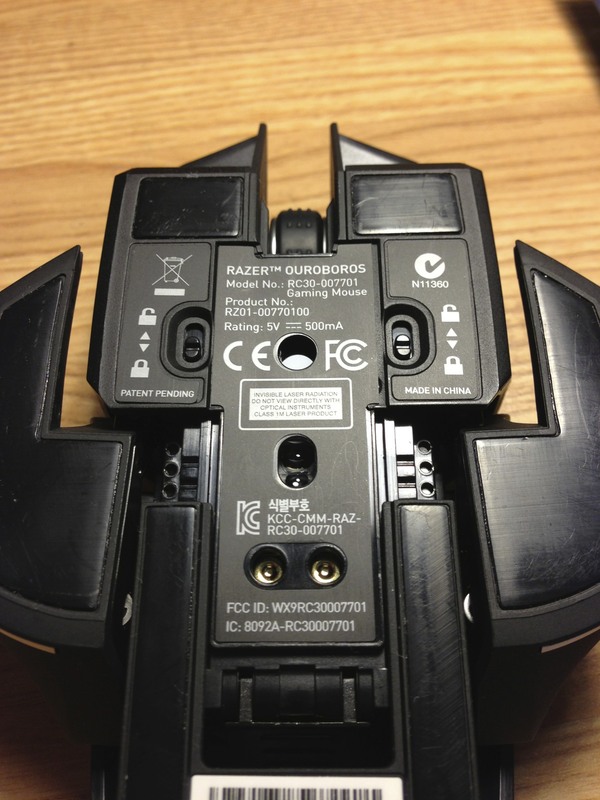 Many simply complain functional problem, such as wireless problem, charger problem, uncomfortable. 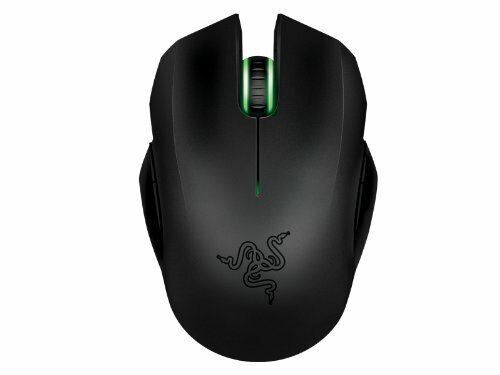 If this mouse is just $70, would i buy it? No. 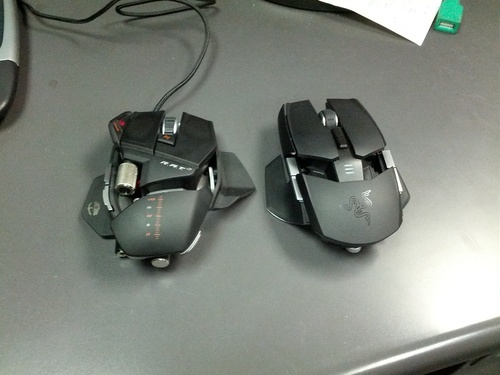 if you are left-handed, get Razer's Left Handed Mouse.